Some rare photos of Van Halen from 1978 have surfaced. 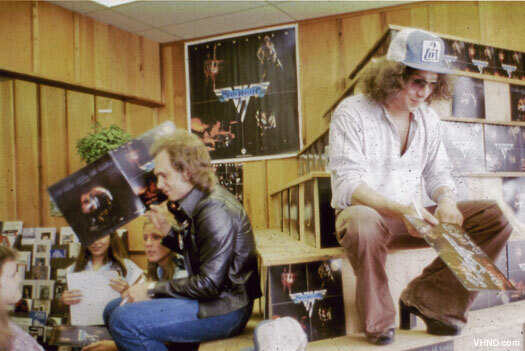 The Van Halen News Desk reports they have posted 15 photos of Van Halen making a special in-store appearance at a record store during their first world tour back in 1978. 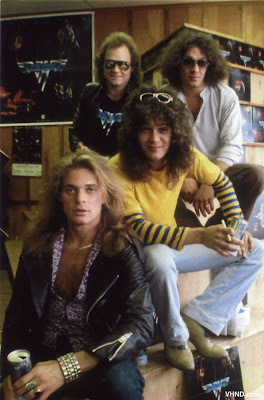 A promotional flyer on the wall shows an image of Van Halen’s only album cover and reads “APPEARING IN STORE FRIDAY 2:30 – 4:00″. 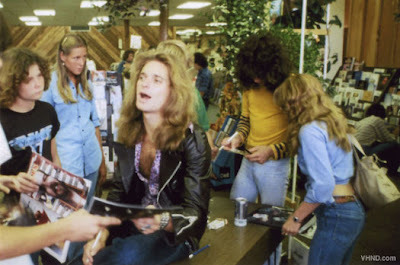 Here’s a few samples…to check out the whole bunch, visit the VHND here.